“The knit upper on Roshe Flyknits is truly one of a kind—no two shoes are exactly alike.” – Graeme McMilan, Roshe Flyknit designer. Certain sneakers are rare, but only a select few can be called one-of-a-kind. The new Roshe Flyknit fits the latter. No two stitches on any two shoes are alike, making each pair unique. Further illustrating Nike’s mission to make athletes faster, stronger, and better with less impact, it’s composed of Flyknit strands from a surplus of material. 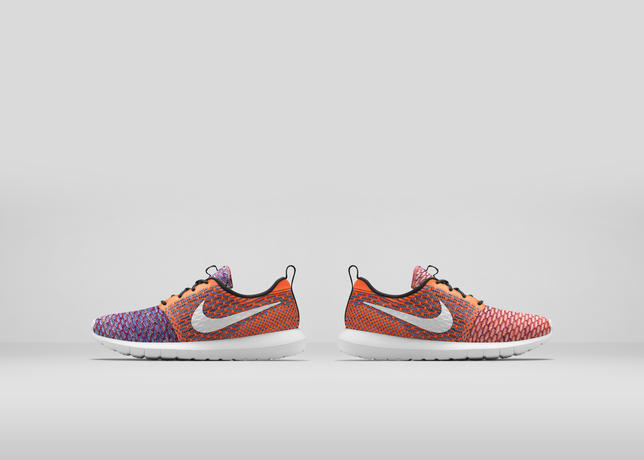 The result—transforming excess into success—is unlike any Roshe you’ve seen. The Roshe Flyknit design team saw unused material as an opportunity; not only to make an exciting new design, but one with a purpose as strong as its woven makeup. Meant for everyday wear, the design’s Flyknit upper conforms to your foot for lightweight support, while retaining its simplistic design language. First introduced in 2012, Flyknit technology broke new ground on the track, allowing wearers the perfect fit for the perfect run. 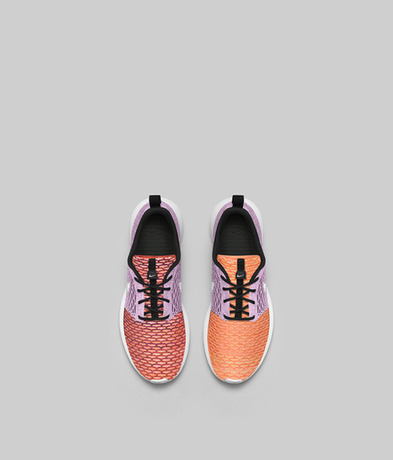 Now, the precisely engineered fabric and yarn variations live atop the Roshe one-piece midsole/outsole. Signature innovation lives below as well, with an updated natural motion tooling that features forefoot flex grooves for enhanced flexibility. Additional comfort comes from within the design with an Ortholite sockliner.